What does DHYS stand for? 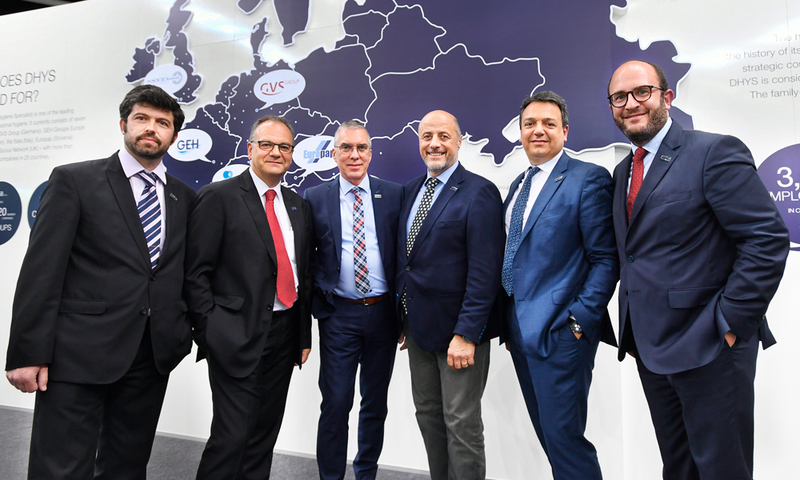 The DHYS Group is one of the leading international trade associations for professional hygiene and currently consists of ten prominent European wholesale groups. DHYS has decades' worth of experience in the strategic consultation of major customers all over Europe and beyond its borders. With our global procurement strategy, we maintain the best trading network for products, price and quality of cleaning and maintenance systems. We make a contribution to greater ecological, economic and social responsibility in the interests of the prosperity of future generations. 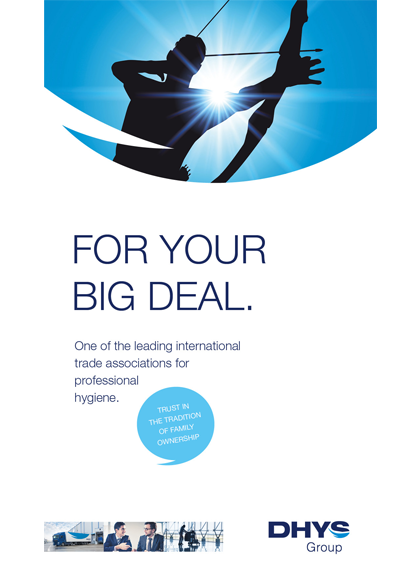 DHYS is one of the leading international trade associations for professional hygiene, featuring ten prominent European wholesale groups and around 140 family-run member companies in 28 countries. economic objectives are not only coordinated but also undergo continuous further development. The benefits can be enjoyed by international customers, suppliers and even potential new members. International trading profiles have special requirements regarding product range and price. For this purpose, DHYS cooperates with selected brand suppliers that enable this type of strategic portfolio. This also includes a whole range of successful private labels that supplement the overall range in a cost-effective manner and significantly contribute towards product range development. Take a look at our latest brochure.